American experimental rock-poppers ‘Hippo Campus’ head to Asia. The Hippo Campus Tour includes two tour dates in Bangkok and Seoul. Minnesota Indie rockers, Hippo Campus bring their alt-pop goodness to Bangkok as part of the 2019 Hippo Campus Tour “Bambi”. American experimental rock-poppers ‘Hippo Campus’ head to Asia. The Hippo Campus Tour includes two tour dates in Bangkok and Seoul. The band are currently touring their latest album ‘Bambi’ with the tour taking them across the United States, Australia, Europe and the UK. The band will play live in Bangkok March this year and will be joined by support band ‘Gym and Swim’. This gig adds to the growing number of International bands hitting the Thai capital for concerts this year, making the most of the city’s diverse group of live venues. 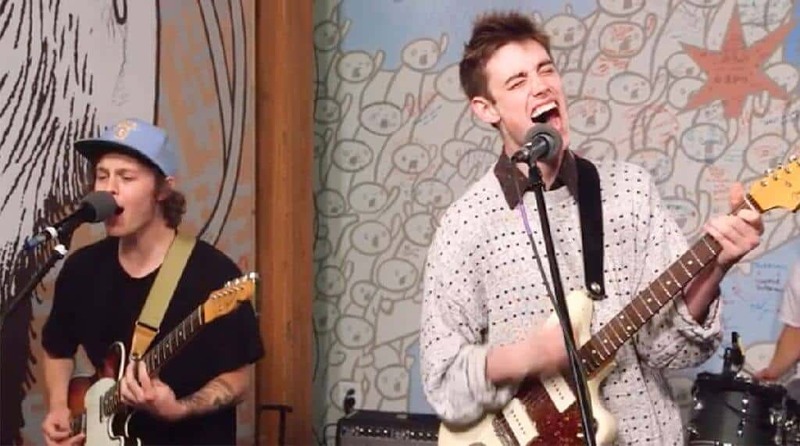 Following the release of their first EP ‘Bashful Creatures’ in 2014, the Minnesota indie-pop five-some gained wide notoriety for their debut album ‘Landmark’ in 2017. The band were commended on their bright, anthemic indie-pop and their two leading singles from the release brought them a summer of international festival slots. No case of the sophomore album curse here. Following appearances at Lollapalooza in Chicago and Leeds Fest in the UK, the band returned in 2018 for the release of ‘Bambi’. With ‘Landmark’ enjoying such instant success and critical acclaim, the pressure was definitely on for the second album. Despite this, the boys were reluctant to replicate safe methods and stay within their comfort zone and added alternative and experimental elements to their sophomore album. ‘Bambi’ manages to showcase maturity in both musical and lyrical elements, yet still packs the summery, ‘synthy’ punch that makes creates the ‘Hippo Campus’ signature sound. Hippo Campus Tour follows their Seoul tour date with a night in Bangkok on March 22nd. The band will take to the stage at RCA Live Arena, joined by tropical surfer-pop group ‘Gym and Swim’ as support. A sell out is highly anticipated so early purchases are recommended for this evening of modern indie pop that is sure to be filled with glittery synths and sunny riffs.